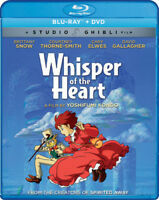 Miyazaki may only have had a hand in the film's concept, but this modern fairy-tale film is every bit as good and entertaining as many of the master's magical works. His studio and its fantastic team of animators and creators made it and it was done by a new and talented director (Hiroyuki Morita) as his very first feature film. Haru, voiced excellently by Anne Hathaway (in the English dubbed version), is charming and endearing as the somewhat irresponsible and insecure high-school student – anxious, klutzy, and always seeming to be late for everything. Her character, like all the characters in Miyazaki's films, goes through a wonderful and entertaining growth while visiting this magical other world of cats, the Cat Kingdom. The film has a great voice cast namely (besides Hathaway) Peter Boyle as the grumpy and lovable Muta, Tim Curry as the hilarious and conniving Cat King, and Cary Elwes as the chivalrous and admirable Baron Humbert von Gikkingen (a.k.a. 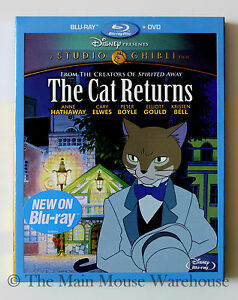 Baron, who is the titled Cat Returns). With gorgeous animation, wonderful characters, lots of hilarious lines and scenes, and entertaining fantasy that's somewhat like a version of Alice in Wonderland with cats, the movie is a modern-day classic. It's good, clean, entertaining fantasy fun (and funniness) for the entire family. Wow I love this movie. Sow sweet and cute movie to have thanks.